BRANDON, MB – One of Canada’s prominent family-owned companies is making the largest single private donation to-date to the Healthy Living Centre at Brandon University (BU), a gift which will reach $500,000 when fully realized by matching contributions from the community. The Richardson Foundation – the giving arm of James Richardson & Sons, Limited and Affiliated Companies across Canada: Richardson International, Tundra Oil & Gas Limited, Richardson GMP Limited and Richardson Centre Limited – has donated $250,000 and has also pledged to match every dollar raised by BU in 2014 for the Healthy Living Centre (HLC), up to an additional $250,000. In recognition of this generous gift, the main gymnasium in the state-of-the-art HLC will be named Richardson Gymnasium. 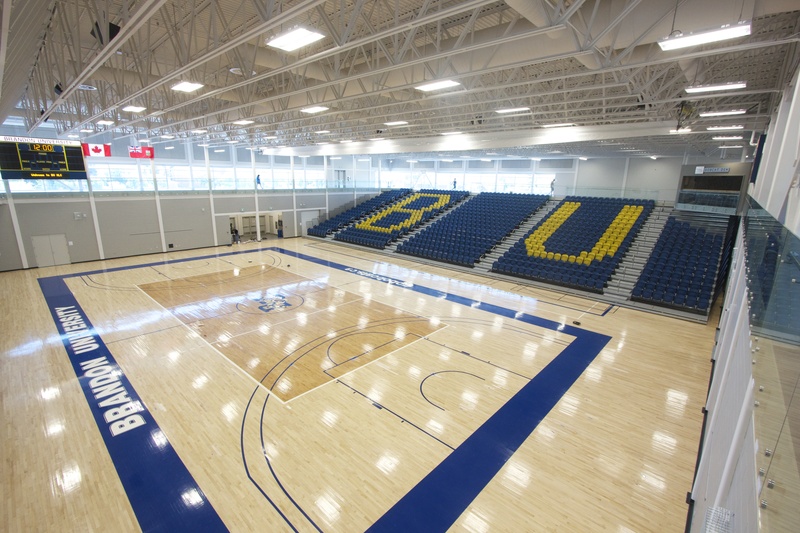 The Healthy Living Centre, completed in 2013 at a cost of $24.3 million, was built through contributions from federal, provincial and municipal governments, and private donors contributing to the BUILD fundraising campaign. James Richardson & Sons, Limited, established in 1857, is a privately-owned and operated Canadian corporation, headquartered in Winnipeg, Manitoba, and involved in the international grain trade and agri-foods business, energy, real estate, financial services and investments. The Richardson Foundation supports registered Canadian charities, focusing on education, youth initiatives, visual and performing arts, and environmental issues.